For more than two decades, water agencies in San Diego County has successfully executed a multi-faceted water supply diversification strategy that makes our region more resilient to droughts. That strategy was created in the early 1990s following deep cuts to imported water supplies. 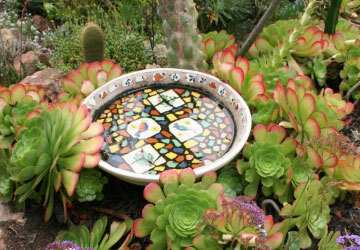 At the time, the San Diego region relied almost entirely on the Metropolitan Water District of Southern California for water, leaving the region vulnerable when drought conditions reduced imported water supplies and MWD slashed deliveries to San Diego County by 31 percent for 13 months. 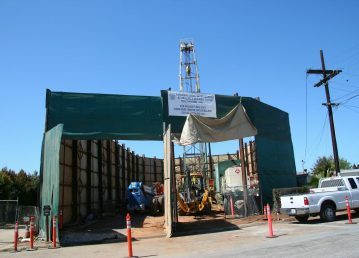 Since then, San Diego County has become a national and international model of supply diversification with a focus on locally controlled sources to enhance regional water supply reliability. The Water Authority and its member agencies have transformed the region with prudent investments in infrastructure and new water supplies that have made the region much more resilient to droughts or emergencies that can cause crippling water shortages. Key elements of the strategy include conservation, seawater desalination, water reuse, water transfers, and the nation’s largest conservation-and-transfer agreement. 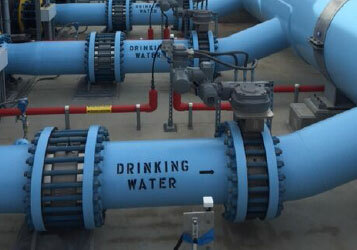 The Claude “Bud” Lewis Carlsbad Desalination Plant is nation’s largest seawater desalination plant, producing approximately 50 million gallons of high-quality drinking water per day. 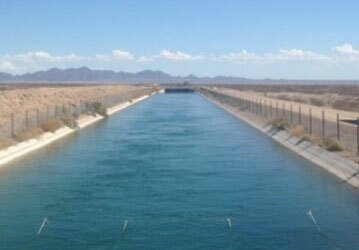 The San Diego region receives long-term, highly reliable Colorado River water supplies from canal-lining projects in the Imperial Valley. Olivenhain Dam, completed in 2003, provides emergency water storage. 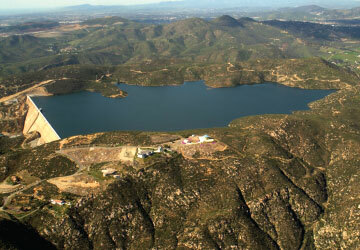 It was the first major new dam in the San Diego region in 50 years. 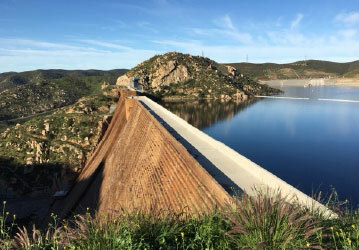 The San Vicente Dam Raise, completed in 2014, added more than 157,000 acre-feet of regional water storage capacity – the largest increase in San Diego County history. The nation’s largest agriculture-to-urban water conservation-and-transfer agreement provides large volumes of water from the Colorado River. The Water Authority helped reduce regional per capita potable water use by nearly 50 percent between 1990 and 2017 through legislation, education, incentives and other measures to promote conservation and water-use efficiency. 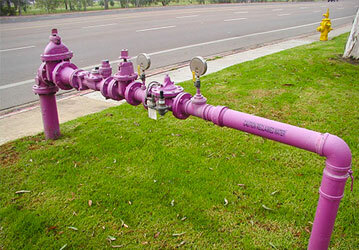 Specially marked purple pipes deliver water for non-potable reuse in agriculture, landscaping and industrial settings. 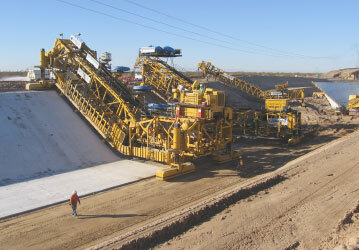 Aquifers in some parts of the region provide significant supplies for local agencies. 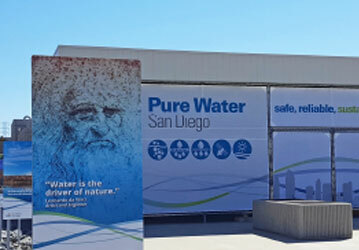 The San Diego region continues to plan ahead to meet future needs – and the next major source of local water supplies is potable reuse.